Email could simply be a good branding tool. Or, it could be your best-performing marketing asset. 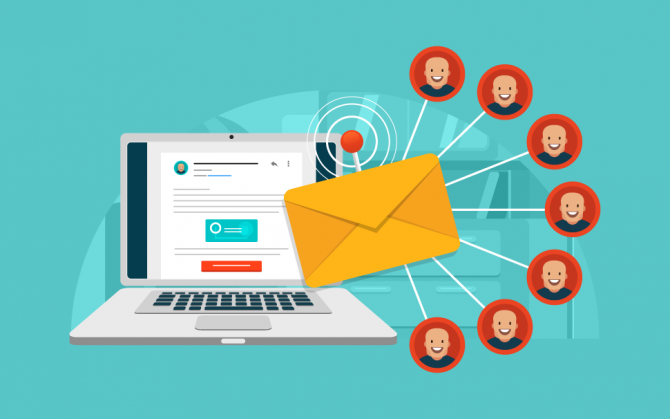 Using the right email marketing automation strategies, you can easily optimize your efforts to improve interaction and conversion rates. A great email marketing strategy always starts with a strong email list. And, the more data you have on each subscriber, the better the experience you’re able to provide. To gain subscribers, you can cross your fingers and hope your visitors notice the sign up button. Or, you could bombard them with a pop-up form and hope they don’t leave your site because of it. But, for expert email marketers, there’s a third option: Timing your sign up prompts. Using the right email marketing automation tool, you can observe your visitors’ behaviors. Gather valuable insights on the best time to prompt them to subscribe. Also, determine what kind of language will help increase their chances of subscribing. By being strategic with the timing and the messaging, they’re more likely to sign up. Also, they’re more open to providing further information like their birthday and interests. Segmentation is no longer just about the basic demographics like age and gender. Using powerful email marketing automation tools, you can segment your subscribers based on a wide variety of data. These include browsing behavior, date of last purchase, and preferred categories. Reach out to your subscribers in a more targeted and personal way. Doing so will help you provide them with a better experience. Consequently, the more likely they are to support your brand. Birthdays offer unique opportunities for email marketing automation. This is the time when subscribers expect to feel extra special. They are also likely to give in to buying urges, particularly when there’s a special offer involved. To take advantage of this, employ a birthday series tactic. This tactic could increase your open rate by about 45%, your click rate by 12%, and your conversion rate by 3%. The birthday series tactic involves two messages. The first is to greet the recipient, let them appreciate that you remembered, and to let them know that they have a special treat in store for them. The second would be the treat itself. If you’re engaged in omnichannel marketing, you can use SMS to reach out right before their birthday, when they’re not distracted by everyone else’s greetings. Use this message to greet them and prompt them to wait for their gift via email. For the second email, offer the treat itself. It could be a special discount code, free shipping, or even free items with every order. Just make sure that your call-to-action is clear and that you give them ample time to redeem the treat. With the right email marketing automation tool, you can track which customers recently added items to their shopping carts but didn’t proceed to checkout. This is incredibly valuable because you already know that they want specific items. All you’d need to do is get them over the hurdle of checking out. An email series for abandoned cart recovery would prove incredibly powerful in this case. One hour after a shopper abandons a cart, send them an email to remind them what they left behind. Shoppers who were simply distracted from proceeding to checkout are likely to come back at this point. If, after 12 hours, the shopper still hasn’t checked out, send another email. This time, the purpose would be to highlight the benefits of owning the abandoned items now. You could point out that they’ll be happier or that they might miss out. Whatever the reason, shoppers who needed a little more convincing may come back at this point. After 24 hours, send another email to highlight the urgency of checking out now. It could be because the cart will expire or the items are about to run out of stock. If you can, sweeten the deal with a time-bound discount code. It’s easy to make assumptions about your customer’s behaviors. However, it’s a good rule to constantly test your email marketing strategies. Always let your numbers tell you what’s right. With the right email marketing automation tool, you’ll be able to implement advanced A/B testing processes. This will help you optimize your emails for the best wording, formatting, branding, etc. Email marketing is becoming more and more complex. But with the help of powerful automation tools, all it takes is a properly designed strategy to enhance branding, boost conversion rates, and improve your customer’s overall experience with your company.